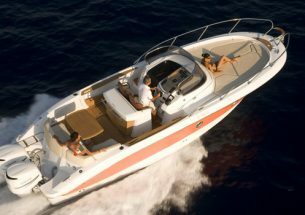 This spacious 26ft Rinker Bowrider offers power and comfort. Soak up the sun on the large aft lounger or cool off in the sea from the swim platform, there is plenty of space to relax. The boat has a semi circular lounge cockpit with extended sunshade and open seated bow for 4. Perfect for the adventurous who enjoy water sports including wake-boarding, waterskiing and inflatable donut. The captain doubles as an instructor so it’s a prefect opportunity to try your hand at the activities if you haven’t before. 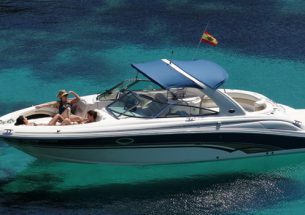 A popular boat for groups of up to 9 guests wanting to experience a fun-filled day at sea, and with 2 almost identical boats they can tandem together for groups of up to 18 people. 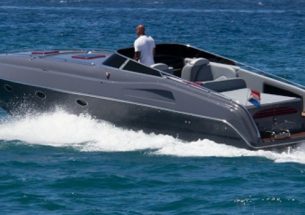 The price includes IVA, skipper, 2 hours of fuel on full day hire/ 1 hour of fuel on half day hire, some beer, wine, water & soft drinks, mooring in base port, full insurance of the boat and personal accident insurance. 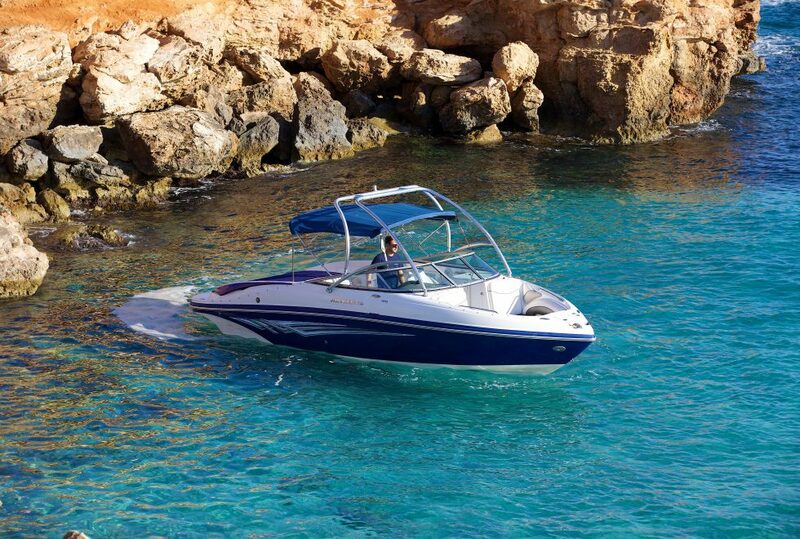 The price does not include extra fuel or mooring out of base port.